Despite my many visits to Charleston, South Carolina, over the past few years, there are still a lot of historic places I have yet to visit (Fort Sumter, the Hunley museum, most of the house museums). I was able to cross the Thomas Elfe House off my list during a recent trip there. Thomas Elfe was an English-born woodworker in Charleston before the Revolutionary War. His records indicate he completed 1,500 high-end pieces for some of the city’s wealthiest residents. Elfe built a house for himself on Queen Street in about 1760. Jump ahead 200 years, and it was falling apart before it was moved back from the street and restored. 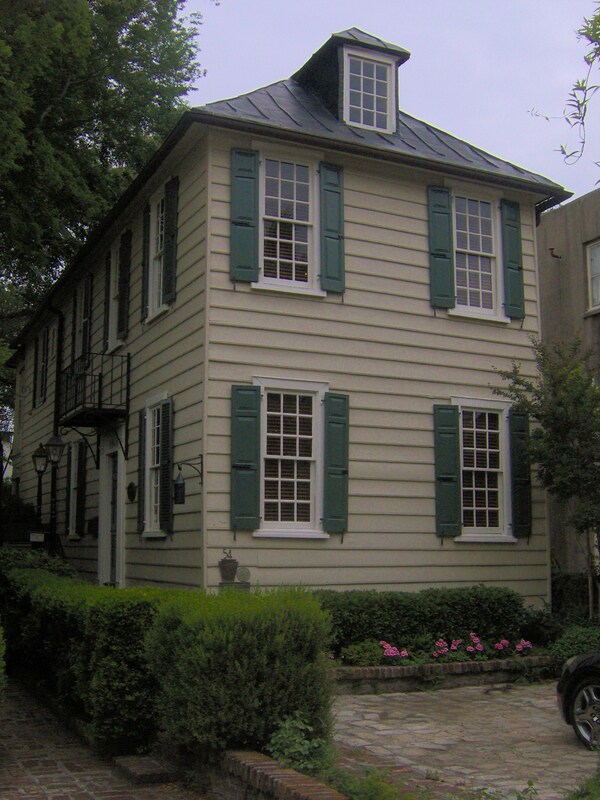 It’s amazing the Georgian-style house has survived because of its desirable location on Queen Street and diminutive size (only four original rooms) compared to many of the other surviving structures from that era. 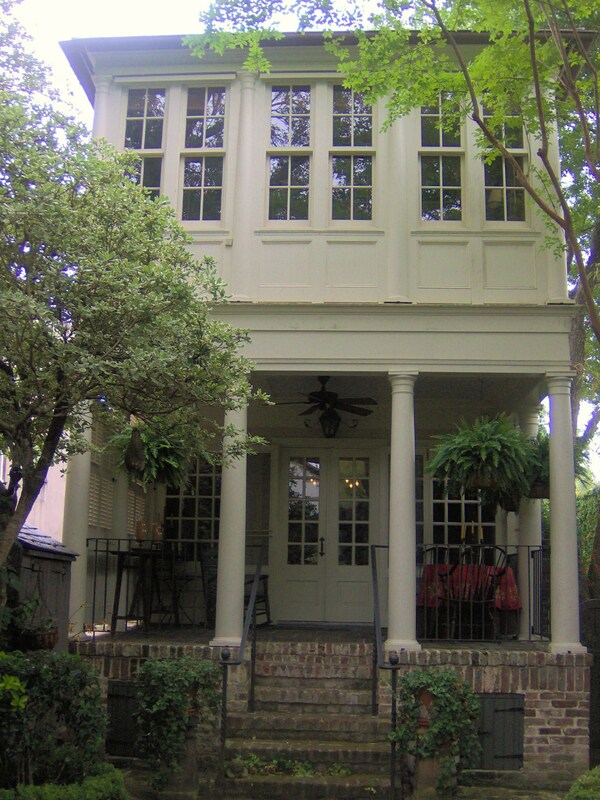 Current owner Bill Ward bought the house in 1994 and added a kitchen and bedroom to the back of the house. It’s certainly interesting to see the house’s original, finely crafted woodwork, but it’s the collection of period antiques that really make it stand out. For $8, you can see for it yourself on weekdays from 10 to noon. The Thomas Elfe House, at 54 Queen Street. The quaint back garden. I wouldn’t want to be there when that ancient oak tree falls down.